will be available on October 1st. See Mrs. Cardona for more details. Welcome to the Career Center at Olympic High! 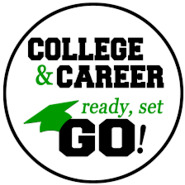 The focus of the College and Career Center at Olympic High School is to serve each student with career development and provide resources to assist with College & Career readiness during high school and post secondary education. Need assistance with filling out your FAFSA and college application? Every Thursday and Friday during 5th and 6th period there will be assistance in applying. Drop in or call for an appointment.